Mother's Day is a one of a kind event that celebrates, honours, salutes and cherishes the woman who has been instrumental in shaping your life. Our Mothers never ask for anything in return for all the love and compassion they offer. So it is on this special day we thank and honour them for all they have done for us over the years. 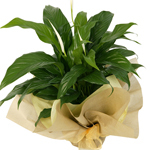 Sending Mother's Day flowers to mark this special event and thank them for their continual support, understanding and love is a great gift. 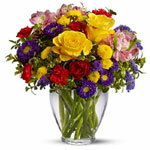 Our worldwide network of florists allows you to send flowers from across the world to your mother. 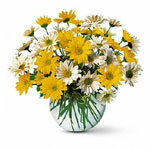 We have an assortment of beautiful flowers available for you to order online. 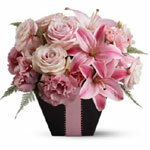 Choose from an assortment of bright, bold, pastel, warm and beautiful flowers. 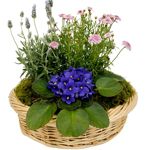 You'll find a flower design that is a perfect match for your mum and her personality. So whether you are in the office or on a different continent you'll always be able to let your mother know how much you care. 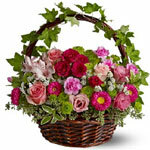 Our range of floral gifts include Mother's Day bouquets, arrangements and roses. We also have an extensive gift selection including pamper packs, spa gifts, gift hampers and baskets.